Uber has come under fire this week. The company’s SVP of business, Emil Michael, suggested at a dinner party that Uber hire a team of opposition researchers to dig up dirt on the company’s critics, including journalists. 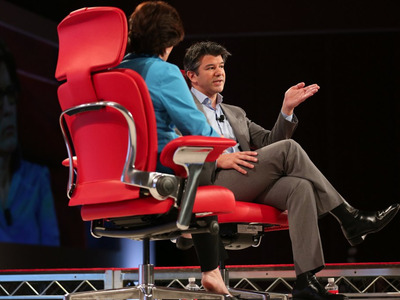 A new report from BuzzFeed suggests Uber has looked to hire an opposition researcher. But instead of digging up dirt on critical journalists, this opposition researcher would be “weaponizing facts” against one of Uber’s biggest competitors: the taxi industry. Opposition — or “oppo” — research is inherently political, and involves paid consultants who investigate a candidate’s opponent. Oppo research consists of relatively benign things, like public records and Google searches, but could also be more involved and aggressive, like recording conversations or digging through someone’s garbage. “Your mission is to identify and weaponize the facts about those incumbents, the truth about Uber and to do it one step ahead of the rest,” the document says. “Once we have the research, we have to weaponize and disseminate it. That’s where a rapid response operation comes in working closely with our comms team. Please outline your recommended approach for a successful rapid response effort that seeks to set the record straight on both Uber and our opponents,” the document later reads. An Uber representative told BuzzFeed that Uber’s decision to consider hiring an oppo researcher was not “newsworthy.” The same spokesperson told BuzzFeed that Michael’s comments about hiring oppo researchers to dig up dirt on journalists were totally separate from the company’s plans to hire oppo researchers to focus on the taxi business. “Emil’s reported comments had no connection to the reality of how we do and will operate,” she said. Uber CEO Travis Kalanick has talked about the taxi industry at length. This sounds bad, but mostly because it’s getting tangled up with the other big story of the week. Companies often build nasty campaigns to attack other companies. Microsoft, for instance, built a whole nasty attack against Google called “Scroogled.” It didn’t do much for Microsoft, though. You can read the full BuzzFeed report here.